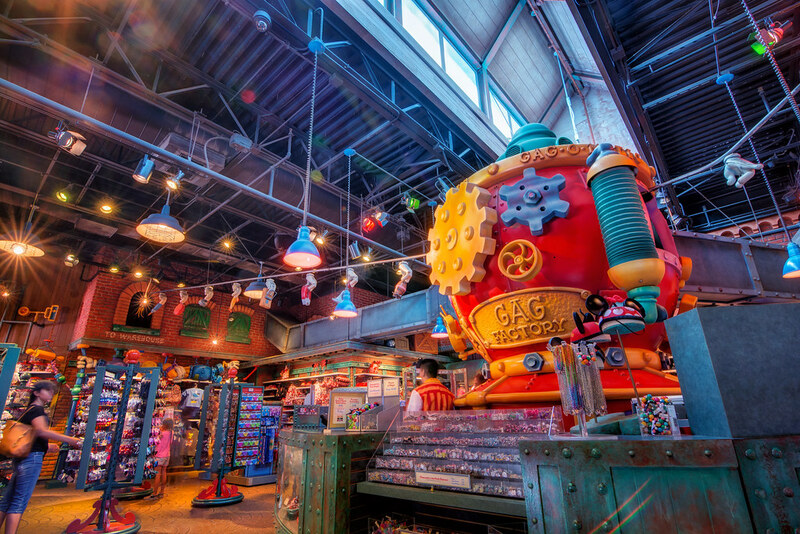 The Gag Factory in Toontown was my favorite gift shop as a kid…back when they had actual GAGS! Now it’s all hats and t-shirts. But the place is still a beauty–even though the assembly line gloves up top no longer move. This entry was posted in Toontown and tagged animation, cartoon, Gag Factory, gift shop, HDR. Bookmark the permalink.